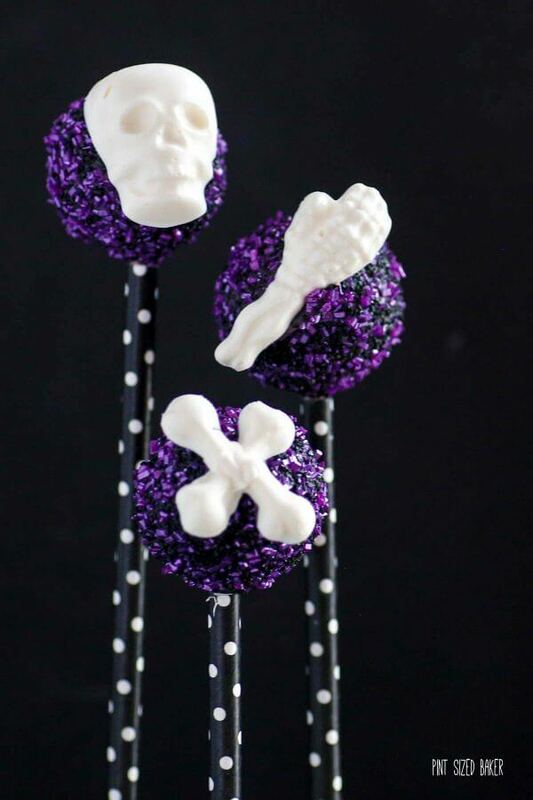 Super Easy Skeleton Cake Pops are perfect to make for you Halloween party dessert table. Skulls and bones make for a spooky and sweet treat. I think that over the years, you have learned how much I love cake pops. 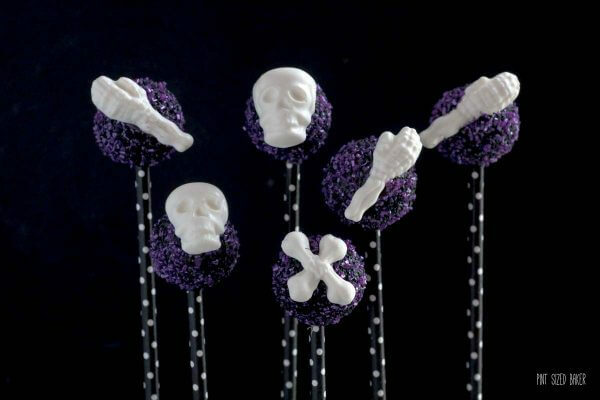 I’m not always the best at shaping them so thanks to Wilton for making a fun skeleton candy mold, I can now add skulls and bones to simple round cake pops. All you need to do is melt some candy melts and then add them to the mold. Pop the mold into the freezer for 5 minutes and then turn them out on to the counter. For the cake pops, I decided to add some purple sugar crystals to the black sugar crystals and sprinkled them over the wet black candy coating. 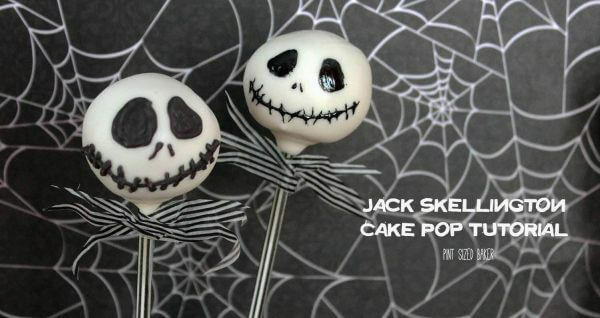 Depending on your level of cake pop making, you can make these as simple as I did, or go full on creative with the entire skeleton. 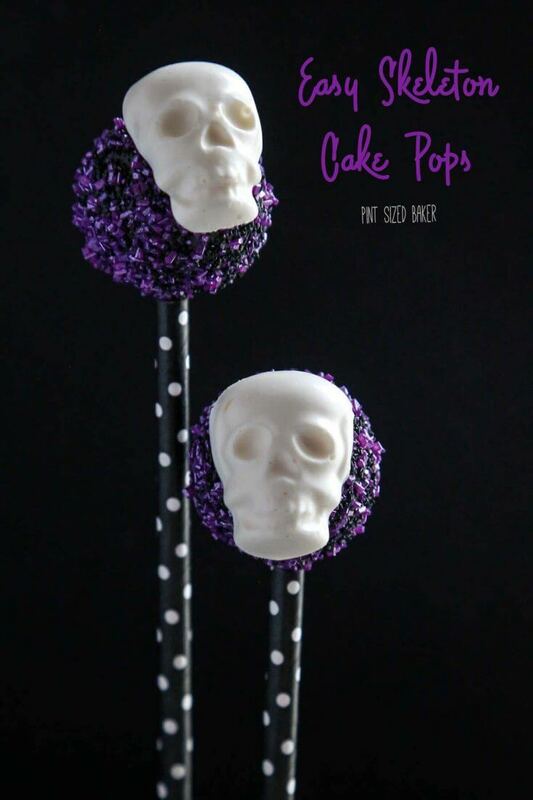 Super Easy Skeleton Cake Pops are perfect to make foryou Halloween party dessert table. Skulls and bones make for a spooky and sweet treat. 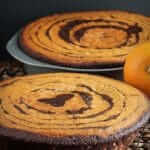 Bake your favorite cake and cool completely. While the cake is baking, make your skeleton pieces. 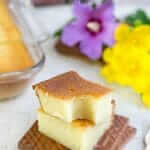 Melt the white candy melts in a microwave safe mug. Transfer to a sandwich baggie and snip off the corner. Fill in the skeleton mold and tap on the container to get the air bubble outs. Place in the freezer for 5 minutes to harden. Turn the mold out on the countertop and set the pieces aside. 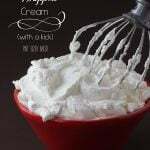 In a stand mixer, blend together the 1/2 of the cake with 2 tablespoons of your favorite frosting. This will blend together to make a dough. There should be no cake crumbs or blobs of frosting in the dough. It'll be smooth like play-doh. 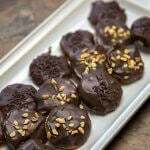 Use a cookie scoop to measure out your cake balls. Roll them smooth. Cover with wax paper and keep in the fridge while your melt your candy. Melt the black candy melts in a microwave safe mug. Stir until smooth and totally melted. Dip a lollipop stick or paper straw into the candy and then insert it into the cake ball. 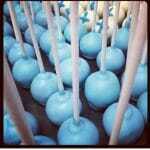 Add all the sticks/straws to the cake pop balls. Dip the cake pops into the black candy and tap off the excess. Sprinkle the purple and black sugar over the wet pop and set it aside to harden. Complete dipping all the cake pops. 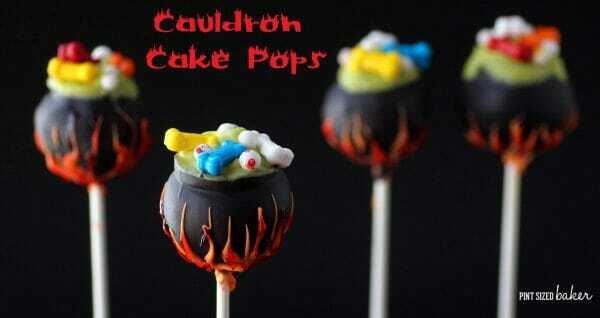 Add a bit of candy to the skeleton pieces and attach them to the cake pops. 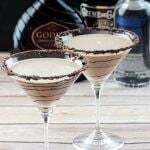 Serve at your Halloween party. You can make cake pops in advance and freeze them until ready to serve. Simply put them into a plastic bag and then into a plastic container. Remove from the freezer 6 hours before you serve them but do NOT open the container until they are completely at room temperature. 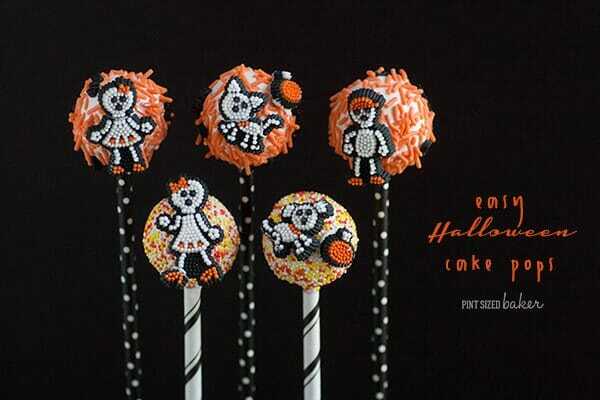 I love all of the creative desserts that I see around Halloween! Its hard to pick just one as a favorite. Thanks so much. Halloween is a lot of fun and it’s a great excuse to play like a kid again. I watched the tutorial!! Thank you, not sure I could have figured all that out. You’re very creative. So tell me where you got the handy dandy holder to put your cake pops in?? That was genius!! 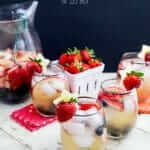 I went to the store and got everything to make these!! Can’t wait, and again thanks for the tutorial!! I have a wooden cake pop stand that hold up the lollipop sticks. 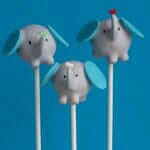 You can order them through my friend, Kim at http://www.kcbakes.com/cake-pop-stands.html. Best of luck! 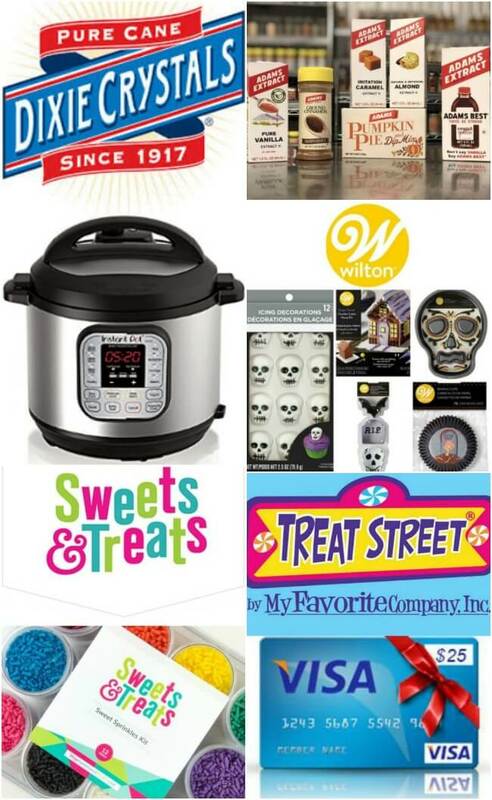 There’s some great prizes!